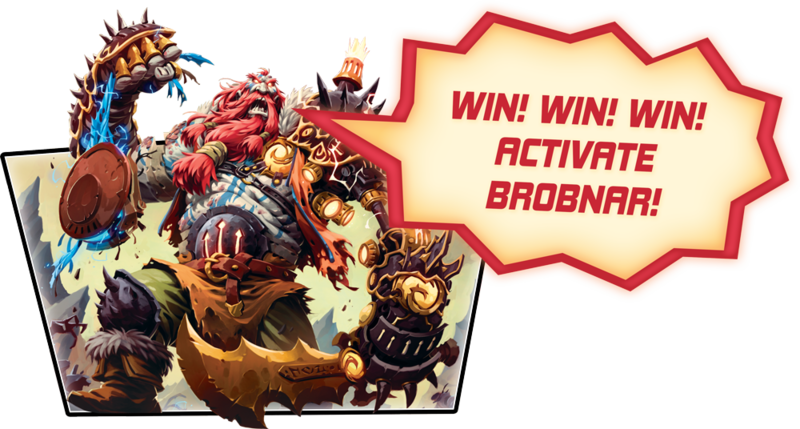 Attend our KeyForge Pre-Launch events to get a better sense of this game. During the Pre-Launch, you'll have your chance to sample all the game's wild and explosive back-and-forth action. Giant creatures! Tiny creatures! Cute creatures! Advanced technology! And wormholes that deposit you in lush jungles! In the Crucible, anything's possible… and it usually happens. There is no entry fee. Join us for free demos and Learn-to-Play Events. A limited number of Archon Decks will be availble for early purchase for those participating in the event. After our Wizards show you how to play the game, collect a special KeyForge lanyard and glossary card (while supplies last). After you purchase your Archon Deck, claim a pin for your favorite House (again, while supplies last). It's the world's first Unique Deck Game, and that means that for every deck, there's no other deck exactly like it. KeyForge is a two-player card game in which each player takes the role of an Archon, and leads that Archon’s deck against their opponent. A player’s deck represents a team that is attempting to gain Æmber and forge keys. The first player to gather three keys is able to unlock a Vault and win the game. The defining feature of KeyForgeis that no two decks are alike. This is not a trading card game—you cannot craft a deck. Rather, each deck must remain as it is. Every deck in existence is unique! But How Does the Game Play? Well, it's crazy, unexpected, fast… and FUN! None of the cards come with resource costs, so everything is free to play! But you can only activate the cards from one of your deck's three Houses in any given turn.